An elegant convertible! Acer has presented a new convertible in 12-inch format - the Switch 3. Thanks to its versatility, the convertible is supposed to be a great choice both for business and private use. Find out whether Acer reached its goals in our short but detailed review. Given its $449 price tag, there’s a lot to like about the Acer Switch 3. 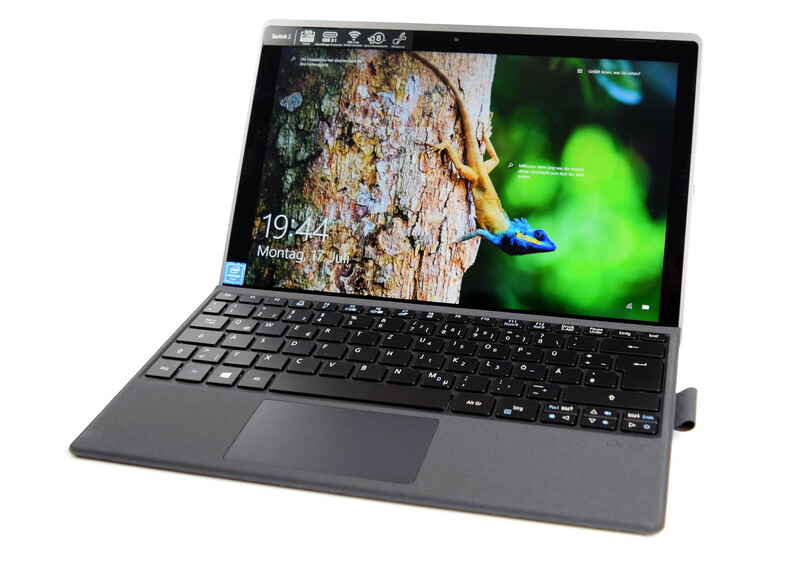 It looks nice, it has a great display, and its keyboard cover is functional and easy to use. No, it’s not the lightest 2-in-1 available, and it’s not the fastest-performing one either. But it offers enough of the portability of a tablet and enough of the functionality of a laptop to make it usable as each. But the need for more storage space, combined with the ho-hum battery life, prevented us from rating it more highly than we did. 64% Is this Acer laptop the budget alternative to the Surface Pro? The Switch is more affordable than the Surface Pro, but if it's a high-performance machine you're after, you may need to look elsewhere. Still, with its robust build and bright display, this 2-in-1 has a lot going for it. Not only is the price tag reasonable, you're also getting a keyboard cover and pressure-sensitive pen. This is great because these items (as standalone accessories) can be expensive, sometimes costing up to $150. Though the Switch is one slick machine, it has a couple of drawbacks. The Acer Switch 3 is a midrange detachable 2-in-1 that seems to forget that both halves need to be great. The display is bright and vivid, and the tablet is built solid, but the keyboard is bouncy and feels like an afterthought in comparison. Add on blurry cameras, short battery life and a little too much heat, and you should definitely consider alternative devices. The best thing you can do in this situation is spend a bit more. The Inspiron 13 5000 is a convertible 2-in-1 starting at $450. It has a comfortable keyboard and a much faster processor, though its battery life is similar to the Switch's, and the screen isn't as nice. Far cheaper than the Surface Pro and a little less capable, but the Acer Switch 3 is perfect if you're not looking to use high-end apps. For half the price of Microsoft's least-expensive Surface Pro with keyboard cover and stylus, Acer's Switch 3 offers an appealing 12.2-inch detachable with a winning keyboard and USB-C connectivity. Eine gute und günstige Surface-Alternative? 74.08%: This rating is bad. Most notebooks are better rated. This is not a recommendation for purchase.